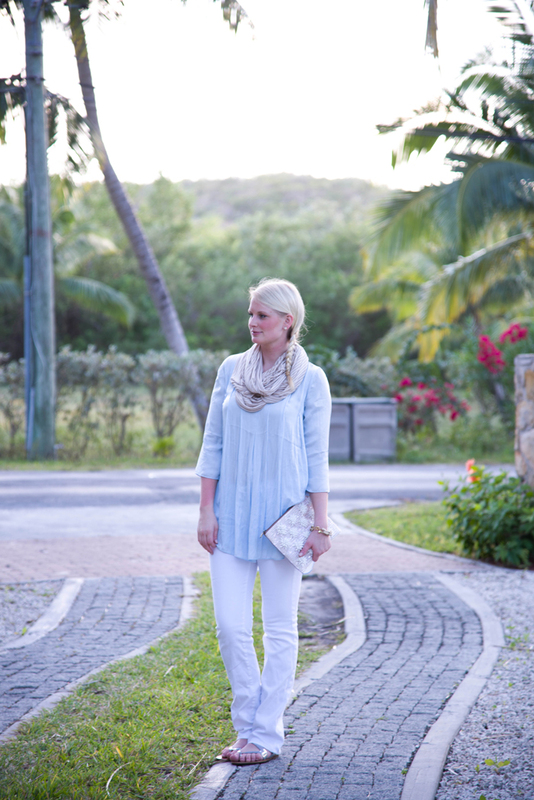 Something I’ve been living in ever since arriving in George Town is this gorgeous pale blue tunic by Calypso St. Barth. The length is nothing short of ideal (great with pants or shorts) and the shade is perfect for me. 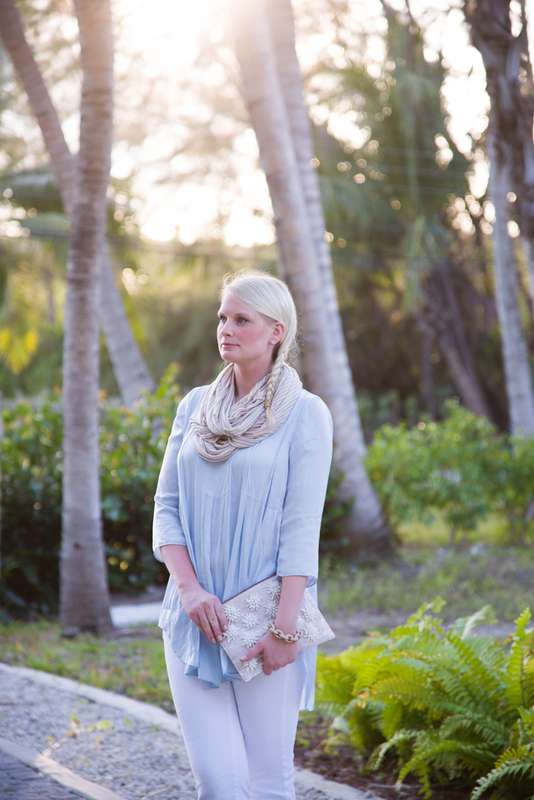 It’s silky soft and comfortable – definitely a staple that you can wear throughout spring and summer! 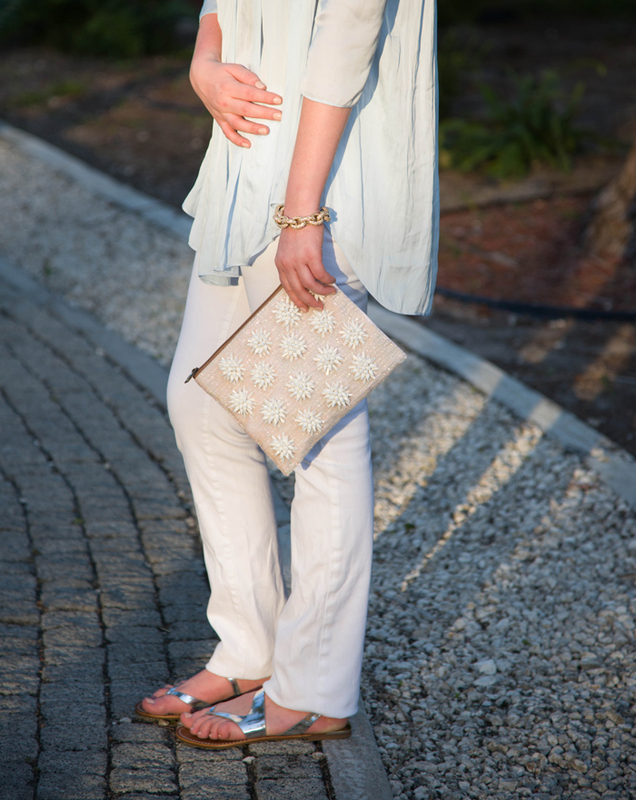 Could that clutch be any more perfect for vacation?! The answer is no. 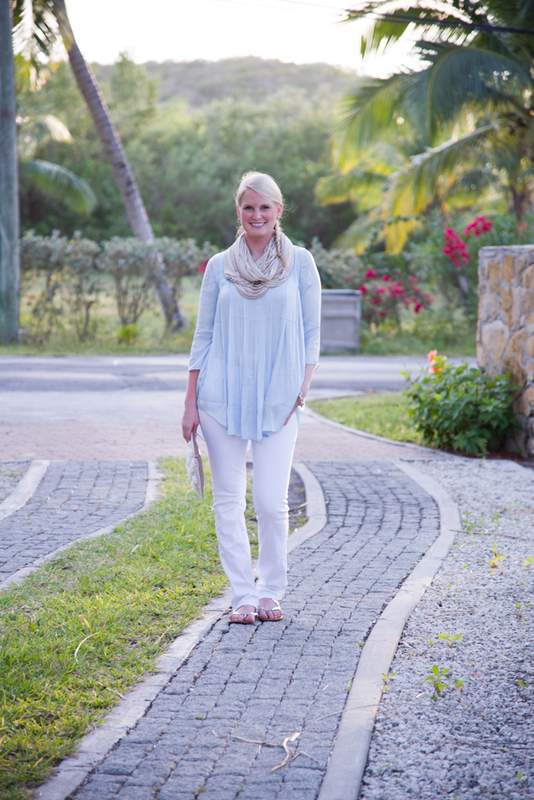 Such a casual and comfortable outfit…love the hair!